2016 w3ss is not the form you're looking for?Search for another form here. Who needs a form W-3SS? 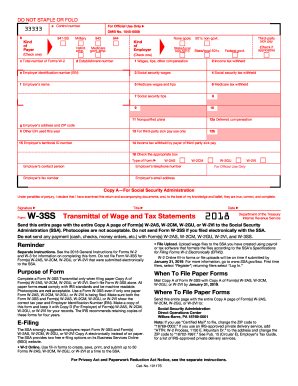 Form W-3SS, also known as the Transmittal of Wage and Tax Statements, is designed for taxpayers in the United States. They use it to report financial activity to the Social Security Administration. What is form W-3SS for? 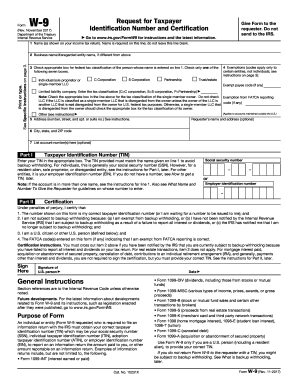 This form is to be submitted strictly in case paper copies A of forms W-2AS, W-2CM, W-2GU, or W-2VI are being filed. Do not send this form to the SSA, as well as any checks, money orders or cash, if all those forms have been sent electronically. You should file it only together with forms W-2AS, W-2CM, W-2GU, or W-2VI. When is form W-3SS due? The due date to the whole package of these forms is February, 28, 2017. 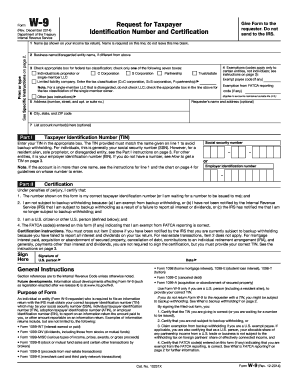 How do I fill out a form W-3SS? There is a small table to fill out. Check in the box to determine the kind of payer and kind of employer. Provide the correct employer identification number, employer’s name and address, territorial ID number, contact person and fax number. Then provide the amounts of wages, tips and other compensations, income tax withheld, social security wages, social security tax withheld, Medicare wages and tax withheld, social security tips. There are also sections to input non-qualified plans, deferred compensation, income tax withheld by payer of third party sick pay.